The truth is that a few years ago I did not give much importance to how to get followers on Instagram or my brand there. It seemed like a social network to which I was not going to give much use, and what’s more, I had my profile configured with the option to keep my photos private with some family photos that I did not want anyone to see. It took me a while to see that Instagram came to stay and that it was going to be one of the most important social networks as the statistics show. And it is also true that some time ago I had not taken the taste or the roll to this social network, but as soon as I saw the grace, I began to like more and more. The issue is that I began to draw more attention, to want to know more about its operation, what it was that made some users get many followers and above all, how you could take advantage of business level, not only for my personal brand. So I started testing things on this social network, doing experiments and applying everything I saw, read or discovered on the subject, using my Instagram profile. I love doing these things for learning. By the way, I created a course on Instagram in which I explain the best techniques and strategies to grow your community on Instagram with real followers. It will be on offer for a short time, so I recommend you take a look if you are serious about Instagram. If the number of more than 500 million active users in the network does not convince you, perhaps it helps to make you know that the use of images in content marketing brings surprising results for any business. And not only that. Instagram has more than 60% of users connected daily and with an average of 80 million photos shared per day. On the other hand, according to Global Index, the network doubled its size in the last year, with an even higher growth forecast after the implementation of Instagram Stories. If your person interacts with Instagram, there are no excuses for not being online too, leveraging the communication channel to create closer links with your audience ever. What if I want to … buy followers? If you still believe that buying follower packages is the best alternative for your business, it is better to stop and rethink your marketing strategy. The same thing happens with the purchase of e-mail lists. Buying users on Instagram means you’re adding non-organic, huge numbers of numbers that will then become embellishments on your profile. Those additions include a lot of fake profiles, inactive users, and worst of all, active users who are not in your niche. Always remember that numbers, in and of themselves, do not guarantee sales or popularity. It is necessary that you consider the coupling, conversions and other metrics that are not just vanity. 26 tips for getting more followers on Instagram! 1. Connect your Instagram to other social networks! To spread your profile and increase the number of followers, the first thing you need to do is connect your account to your other social networks. To do this, go to the options area of ​​the application, choose “linked accounts” in Settings and then select the alternatives of your choice. 2. Learn to use Hashtags! A Hashtag arises from the numeral symbol (#) with a word that you want to present as a description of that publication. You must have already seen some super popular ones like #instagood or #instafood in Instagram publications, Twitter and even Facebook itself. Proper use of this resource allows users to find your business more efficiently. In addition to allowing the organization of your content by categories within the network. 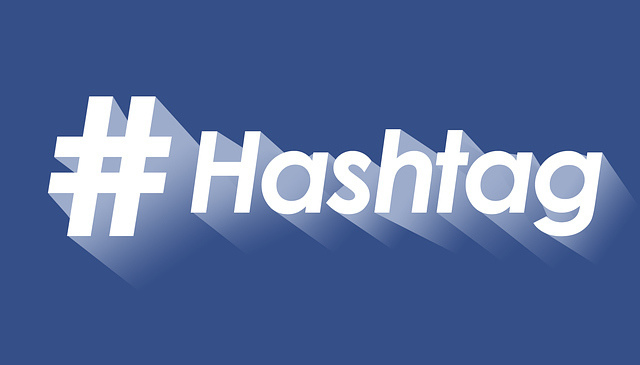 Always try to use hashtags that have a direct relationship to your image and prevents flooding. No matter how much it increases the scope of your business, it confuses the user experience that already accompanies your publications. In case you just want to use them, you can do it in the comments area of ​​your publications without contaminating another person’s timeline. 3. Look for photos that are really interesting! Another factor that makes all the difference in the engagement of Instagram users is the quality of the photos you post. Do not be afraid to use angles, to experience good lighting or opt for good quality when taking your photos. That difference can guarantee a large number of “I like you” and get the attention of who is walking the timeline. It is also essential to define a specific visual identity for your business, so you will have more chances of having a photo recognized as yours anywhere in the social network. Remember also that it is crucial to understand what is successful with your person. Experimenting is the key to aligning your brand with the interests of the public, and that is an essential step in ensuring engagement. 4. Be present on the network! Your presence on social networks is significant when it comes to keeping the audience interested in your content. It’s no use to follow all the advice, publish incredible photos and make the best comments only once a week. To increase the engagement rate, you need to be a massive user of the social network. Do not economize on the “I like” in the photos of other users, comment when you have something relevant to say (without advertising disguised as a comment) and maintain a good rhythm of publication. 5. Feed engagement on your account! Your publications will not receive interactions if you do not take the initiative. Therefore, it gives the first step and stimulates these new contacts. Dale “I like,” comments and marks the most brilliant photos you find, always opting for publications related to your business or influential people in the area. A good alternative is to start conversations with users in your publications, or also know how to respond to those who spend time commenting on your photos. So you show that you are active and you care about visitors. 6. Take advantage of the sponsored publications alternative! As with Facebook ads, using Instagram-sponsored publications allows you to target the audience of interest, which greatly optimizes the results of your campaigns. Take advantage of the open possibilities of insertion of sponsored messages to publicize events, offer advantages and attract the attention of the public that still does not follow your business, thus ensuring that more users have access to your news. However, do not forget that this alternative requires an investment proportional to the success of your campaign, and needs to be very well planned to generate the desired results. Experiment to vary the format of your publications, using the video and image alternatives that can be uploaded to Instagram. When they are well-crafted, the videos have an engagement rate that is three times greater than in the photos, so make good use of the tool and focus on the editing for users to interact with the brand. Everything is worth: product demonstrations, making of, interviews, a preview of the launches and everything else that your brand can produce. The important thing is to be aware of your marketing proposal. 8. Learn from the competition! Do you know of some great super action that your competitor made and generated great results? Well, you can and should learn from this and apply what you can absorb in your own business. But what if stocks fail? They also need to be analyzed and, believe it or not, it can end up teaching much more than the success of the competition. That’s because this type of analysis will be fundamental to understand better the audience with which your competition fights and that, at some point, may end up becoming yours. So follow the competition and keep an eye on any and all interactions on the web. Comments, “I like,” publications and differentiated actions need to be monitored all the time, so you do not fall behind. 9. Learn how to manage your accounts! Several applications help you manage your accounts in Instagram. With multiple active accounts, it is much easier to maintain the frequency of publications; in addition to the accompaniment of the behavior of each one. 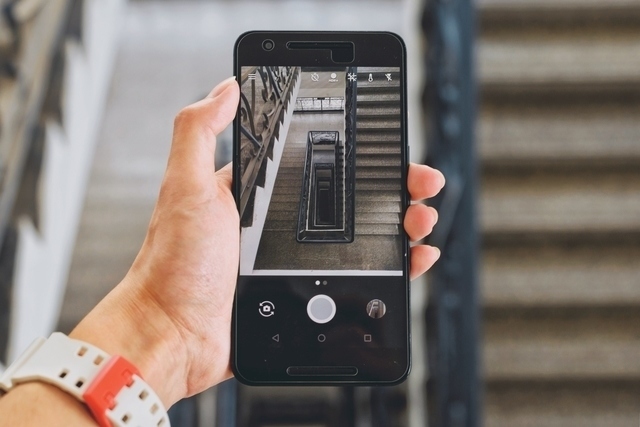 Apps such as Latergram, Instamizer, TakeOff, Machinegram, and Schedugram, for example, help in this monitoring process and can even guarantee some extra functions such as scheduling of publications. There is a huge diversity of applications that can be useful, such as InstaCommentor, which monitors and manages comments. InstaFollow, which reveals who has stopped following the brand. 10. Make an editorial calendar! The organization is the key to the success of any digital marketing strategy, and an editorial calendar can save time and ensure a good distribution of content throughout the year and especially on special dates like Christmas, Easter or the birthday of the business. It is clear that there are publications for the moment, but it is vital to define the content to be displayed previously. In the end, a good strategy takes time to be planned and, with a well-developed calendar, you can alter the script in an unusual situation. 11. Find the tone of your brand! Do not insist on trying to repeat the same formula: each business has a specific tone to deal with its audience, and that depends so much on the way you position yourself in front of your personas on how they consume and interpret your brand. That is why it is necessary to adapt the way you communicate based on age, niche and the type of product offered to ensure that it can create a sense of identification in the recipient. Informality and the use of jargon may not be ideal for all segments. From there it is valid to experiment and see what really works with your business. Do not be afraid to adhere to some interesting movement for social networks. It is important to evaluate the ideological position of your company and thus to become empathetic in the struggles for social improvements. Does your company act in the branch of pet stores? Consider promoting animal adoption campaigns and producing awareness content. Is your business involved with event production? Plan benefit actions for recognized identities. Intelligent positioning helps in engaging and communicating with your audience, as well as promoting actions for a much better world. 13. Interact with other brands! Followers are not the only audience of a B2C company. Interaction with other stakeholders, such as business partners, suppliers and even the same competition, can be an excellent strategy to expand business opportunities and help in promoting your brand. There are several examples of cases of interaction between brands in social networks involving large companies. Comments, quotes, and hashtags are always welcome in these cases and may even bring some interesting associations and guest posts on Instagram. 14. Understand how the network works! Knowing the data and primary statistics of Instagram help when planning your script for the network. Some Emoji accompany 50% of Instagram texts. Photos that show some faces have 38% more likes than other types of photos. Images with large negative space generate 29% more likes than those with little free space. Publications that use both Hashtags and the location defined on the map generate much more engagement than the others. A study of 55 active brands on Instagram reported that the average number of publications is one and a half per day. Users lose, on average, 70% of what is posted daily by the accounts that follow. Of course, that’s just a basic introduction. Over time you will understand better how your audience behaves, and you will have much more material to plan your marketing strategies in the social network. One of the simple ways to get new followers is by making drawings that request to share the content. For Facebook and Twitter that action is simple, but for Instagram may not be so much. However, you can suggest, for example, that those interested in the promotion follow your account and share a specific photo through Regrann, a specific application for it. However, in case you prefer, it is possible to take advantage of the immersion of the networks and request in the promotion, that people share your photo in Instagram through Facebook using some own hashtag for the event. The idea here is to know how your person behaves to get the best results. In case a draw format has not generated the expected engagement, try to alternate the prize, the integrated networks, the deadline for the draw, the conditions of participation, etc. 16. Constantly monitor and analyze results! The analysis of the results is an extremely effective strategy in any (digital) medium. And apparently, that would not be different for Instagram. Several tools assist in the data collection of the platform, such as Iconosquare, simple measures, InstaFollow, Union Metrics and Crowdfire. Defining goals and metrics is one of the main steps in formulating your online strategy, and these are essential for accompanying the results and visualizing the need for a change of positioning. Therefore, focus on building realistic goals in the short and long term, so that it is possible to observe the evolution of your business while still ensuring space for emergency reformulations. 17. Do not be afraid of the tests! With the support offered by the collection of data, metrics and other information, testing for the readjustment of online strategy is much more comfortable. Make similar publications at different times or days and see which one performs best. It analyzes the size of text, language, image quality, content mix, use of hashtags, etc., and discovers which have better engagement rates. Write down your result and find out how your person behaves towards your brand and do not be afraid to take risks. If the results are not varying, it is worthwhile also consider doing an investigation with your audience to know, directly, what are the strengths and weaknesses of your strategy on Instagram. Your company can use the space destined for the biography in Instagram intelligently and strategically. Take advantage of this area to list the main links of your business, prioritizing the website, blogs and lastly, social networks like Facebook, for example. 19. Find the perfect time for your posts! Time is another factor that must be considered when publishing any content. Because the network is organized chronologically, it is important to take advantage of peak times and distribute your publications well to maximize viewing opportunities. The time is also good for commemorative dates, awareness campaigns and commercial dates such as Black Friday and Cyber ​​Monday, for example. So stay tuned and do not miss the opportunity to post something well aligned. 20. 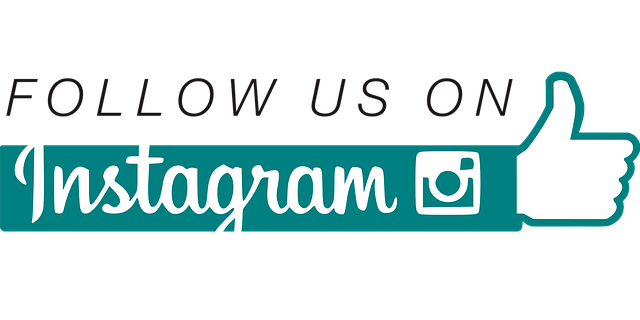 Discover the Instagram Satellite Applications! Instagram has two satellite applications: Layout, used to rearrange more than one photo within the same frame, and Boomerang, used to create small animations in loops with your videos. Both allow you to export content to Instagram and make it available to your timeline, creating differentiated publications that can help with engagement rates. 21. Take advantage of the geotagging functions of the network! Geographic information can be extremely interesting for business, but mainly for products and services that have specific points of sale or promotion of events. So, whenever you post a photo, show your followers where it was taken. Do not be afraid to mark it on your map. Many users search nearby locations, and that can be a great opportunity to get more views. In addition to that, you can also use that alternative to filter users and know who is in the vicinity of your business. 22. Use more than one channel to promote your profile on Instagram! If your company has other social networks, you can take advantage of its scope to divulge the profile of Instagram. Whenever you share a photo, for example, try to put the Instagram link, distribute some Hashtags or indicate a shortcut in the profiles of the networks. If you have a mailing, invite your contacts to follow also Instagram. It is equally valid for the blog, official site and graphic material such as banners, billboards, and flyers. 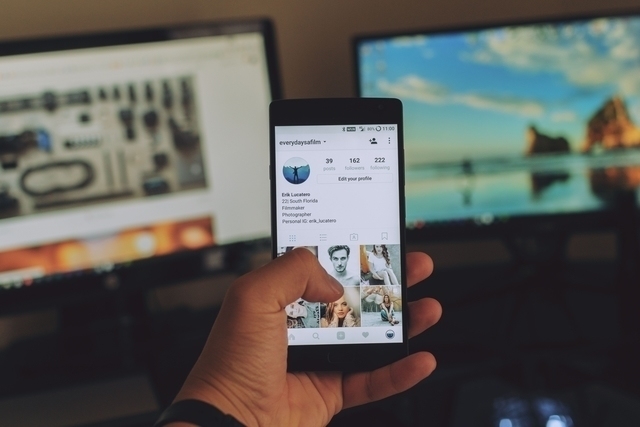 Mixing online and offline strategies for your business can be the key to success in winning more followers on Instagram. 23. Explore the potential of Instagram Stories! Instagram Stories was the last weight update on the net, more if you need to be present and hook with your brand. That alternative allows you, as in Snapchat, to record small videos or take photos with the difference of the time of expiration of 24 hours. That is, any content that you upload to the Instagram Stories line will expire within a day, being inaccessible to other users on the network. With Stories, you can invest in validation date coupons, exclusive behind-the-scenes content and adopt a somewhat informal tone for your posts. That’s what you just read. Instagram is also worth the rule of the Guest Post, and that can be a great alternative to create new working relationships and ensure more followers in your profile. Experiment to photograph the product of the partner company next to yours and make a creative legend. You can even suggest a joke between the two brands, integrating the publications and adopting a more informal tone. The advantage of the Guest Post is that it is a free form of disclosure that will bring benefits to all participants. Many companies obviate the legends of the photo, forgetting that the content covers everything your company puts on the network, be it text, image, and even emojis. Experiment by making interesting texts or inspire your audience. It is also worth considering questions to increase engagement or the same CTA that invites the public to comment on some interesting story. The important thing here is not to leave the legend to the end. You need to be consistent with your image and is still a powerful hitch tool. 26. Learn to use CTAs in your posts! CTAs or Call to actions are those small calls to action that we place at the end of content, inviting the reader to take some action. Visit the blog, sign up for the newsletter, etc. Remember to adapt the CTA to the tone of communication with the person and the published image. Consistency is everything in Instagram. All these tips can help you build a legion of followers for your Instagram, but do not forget that the most important thing is that you know how to communicate and maintain consistency in the tone of voice of your company. A good visual identity, in-depth knowledge of the person and content of relevance, can work wonders in any digital marketing strategy, and the same thing happens in Instagram. Remember that people are in that network to share good times, so ask yourself what your company can do to contribute in that sense. Awesome post – very informative! You shown some good way to gain more followers. When looking for ways to engage with and gain more followers, collaborations may be a great way to do it. Phlanx.com is a perfect for cross collaborating with other influencers and creating collaboration callouts. The influencer database is global and provides search tools to find influencers best suited to your target market. 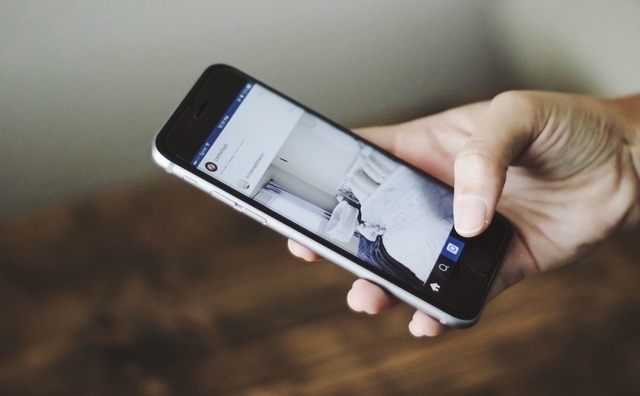 Engaging AD formats offers a great experience to audiences on Instagram, It helps brand in connecting with customers.